Family is extremely important to life in Myanmar. However, it’s important to recognise that the Burmese notion of ‘family’ extends well beyond the nuclear family. As an example, there is no such thing as a “cousin” in Burmese culture. Cousins are understood and referred to as one’s brothers and sisters. Men and women are usually called “uncle” and “aunty” no matter the relation. A great deal of importance is attached to extended-family relationships. Burmese families are also very close-knit. In Myanmar, families are perceived to have a collective reputation or face. In this way, the act of an individual can impact the perception of the entire family by others and the interests of the family supersede those of the individual. One’s behaviour is often immediately correlated to their upbringing in Myanmar. It is said that “bad language from bad mother, bad body-language from bad father”. As such, people are careful not to damage their family and parent’s reputations. 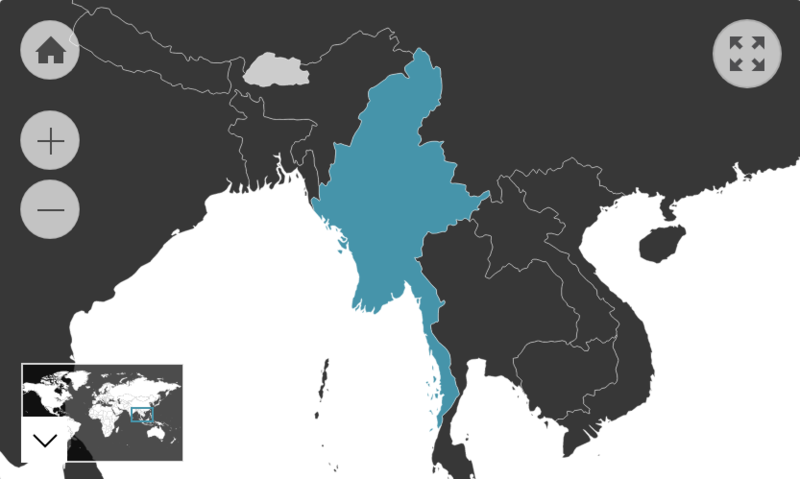 Most Burmese families have two or three children. Traditionally, several generations and extended family members lived together in the same household. This is still common in rural areas; however, in urban areas, there are now many nuclear family structures. According to the national census taken in 2014, the average household size is 4.4 people. Such an arrangement may seem like it would lead to a cheaper/easier standard of living. However, in reality, it can be harder for the family to provide for themselves without the help of extra hands. Many families have domestic helpers to assist with the household operations. Furthermore, most adult children continue to live at home with their parents until they are married, or even longer. They can leave home earlier, but not without a reason (for example, having to relocate for a job). Families are generally matrilocal, matrilineal and patriarchal. This means they trace family through the female line of heritage and may stay in the wife’s family’s home for a year after marriage before moving out together. Yet, the oldest male (either father or eldest son) has the most authority. In traditional Karen villages, there may be a village chief that is the authority for many families. Elders hold high status and respect in the family. They are often consulted on any major decisions and their opinion presides over most matters. Some families in Australia had to leave their elder family members behind in refugee camps when they migrated to Australia because they didn’t meet entry requirements. This can be a significant cause of stress and grief. Burmese women have generally enjoyed a high social and economic status, relative to neighbouring traditional cultures. A sense of equality is encouraged between husband and wife, and women have had equal access to education, inheritance rights and property rights in divorce. However, there is some variation among ethnic minorities. For example, customarily, Chin women cannot inherit family property. While women enjoy equal rights in most areas, they are generally expected to perform the domestic chores for men in addition to any day job. Many fulfil the role as cleaner, cook, and child minder as well as an income earner. Generally speaking, women are expected to be unobtrusive and reserved. Buddhist practices also reinforce women's subordinate status in the society. Under Buddhist teaching, they are unable to enter some parts of monasteries or touch monks. This comes down to the idea of ‘hpon’ in Buddhism that delegates men more spiritual potential, and thus status. Though “hpon” directly translates to ‘”power”, it has a more intricate meaning that seeks to explain the varying ethnic, socioeconomic and gender differences in society. It is believed that only men possess hpon. For example, the Burmese word for monk ‘hpongyi’ supports the view that men alone have the qualities required to be a monk. It is rare for Burmese young adults to date casually. Marriage is almost always factored into interactions as the eventual goal. Opposite genders may begin socialising with one another as groups in their teen years. If a young couple like each other, they generally date for a couple of years to decide if they will marry. They tend to only inform their respective families of the relationship once they are certain they want to marry. It is very rare for a couple to marry without the approval and consent of both families. Arranged marriages are also customary in Myanmar. They are usually negotiated by a female family member (such as the aunt or grandmother). In some cases, the families may consult an astrologer who can determine a couple’s compatibility. The Karen people are generally free to choose their own partners. Once the decision to marry has been settled, the man will send his parents to formally ask the permission of the prospective bride’s parents to marry their daughter. Some young couples may hold an engagement ceremony. The wedding ceremony itself is generally not so much religious as a social ceremony where families invite many guests. The person who marries the couple is often a close family friend of the parents. The Chin may practise the giving of ‘man’, which is an exchange of goods and a social gesture between the families. Buddhist couples generally avoid getting married between July and October during the Buddhist fasting period. Polygamy is frowned upon in Myanmar and divorce is considered shameful. However, if divorce cannot be avoided, it is used as the last resort.